Selecting a right career option is one of the hardest tasks for students as there are thousands of career options available and selecting the right one is like finding a needle from the haystack…. Choosing the right career path is one of the crucial decision of your life as it will decide your future ahead. Thus, you should take the decision after considering various aspects. 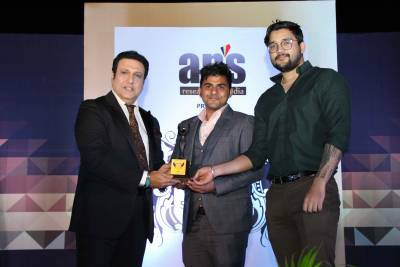 If you are looking forward to making a career in the networking industry, then you are blessed with an Ask NB platform – launched by Network Bulls, Gurugram. Ask NB is India’s 1st and Only Networking Q&A platform. At Ask NB, you can directly ask the experts having vast experience and knowledge of the IT Networking industry. Ask NB is the platform where hundreds of networking enthusiasts, fresher’s and the experienced working professionals come together to ask their queries and share their experience respectively. Thus, no matter in which dilemma you are, you can get the right guidance at the right time and take the right decision; paving a path for your bright future ahead. 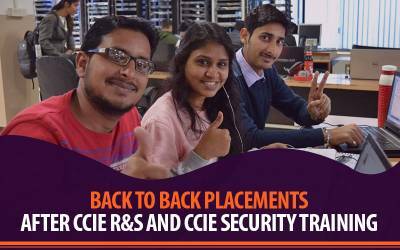 Q.1 What is the maximum age to apply CCIE Security and get JOB? 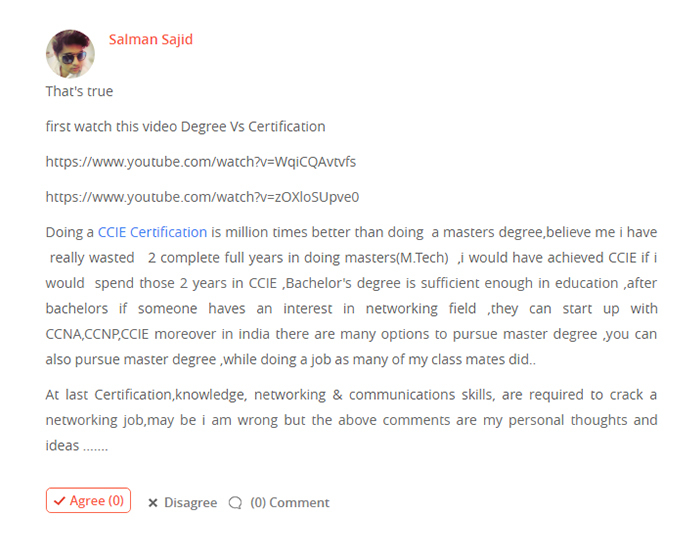 Q.2 Should I do MCA after BCA or should I prepare for CCIE Certification course? Q.3 What is the scope of CCIE? 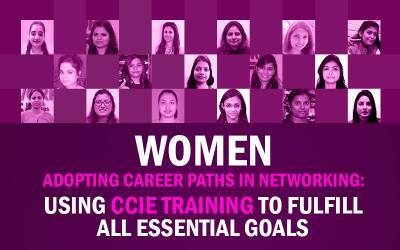 Q.4 How much salary can we get after doing CCNA course in Delhi Gurgaon? 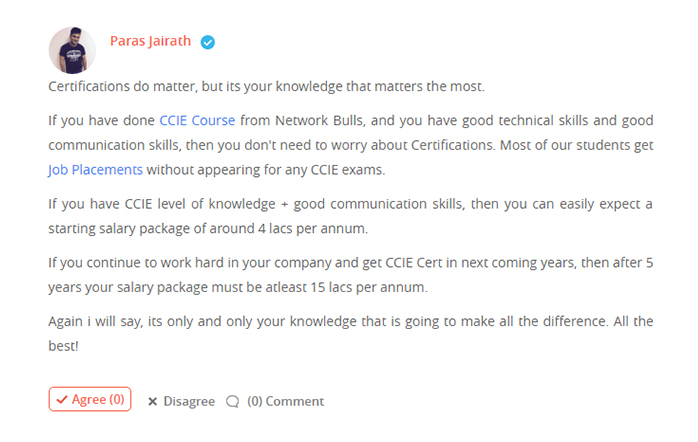 Q.5 What is the scope of CCNA course in India? Q.6 Sequential steps for making myself as a network professional? 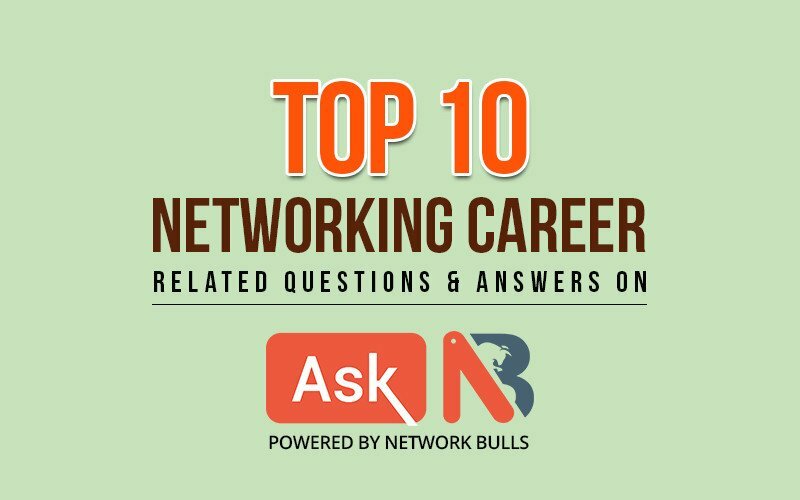 Q.7 How can you guarantee a job for students who have no experience in Networking field? 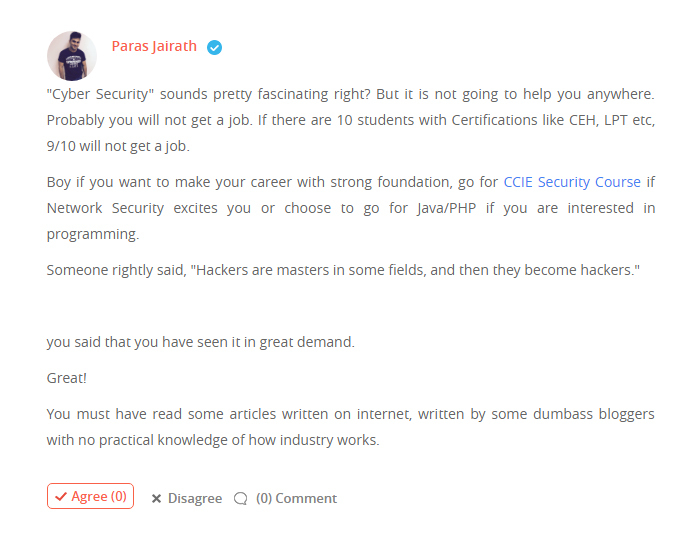 Q.8 Is there a good scope for Cyber security engineer who has done networking? 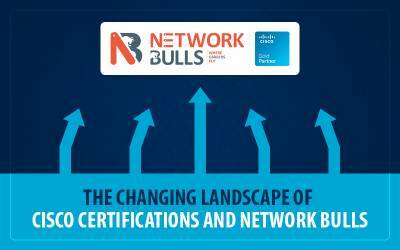 Q.9 Many of my networking friends have suggested me to do CCIE training with certification after few years of experience! So is the suggestion true if yes why if no how? 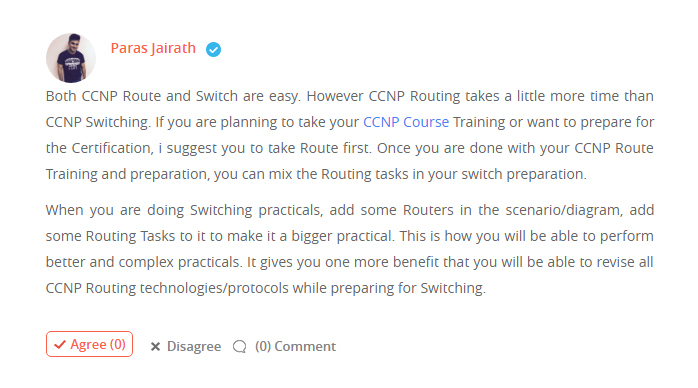 Q.10 Which one is easy to complete, CCNP Route or CCNP Switch? 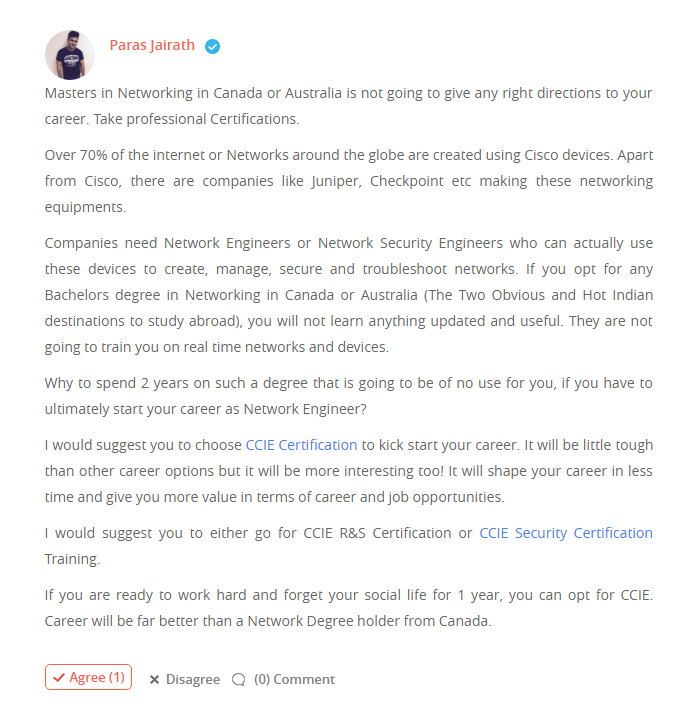 Selecting the right networking certification course is very important for building a bright career in the IT industry, a little bit of mistake and you will end up with nothing but just a waste of time and money. Thus, it is advisable to ask experts about the scope of the certification in consideration, eligibility etc. before pursuing the same. If you are looking forward to asking the expert then Ask NB is the best platform for you. Ask NB is the platform which helps you to directly ask the experts. There are numerous IT Certification Courses which can help you to build your career in networking but Cisco CCNA, CCNP, and CCIE Courses are the most demanded courses.